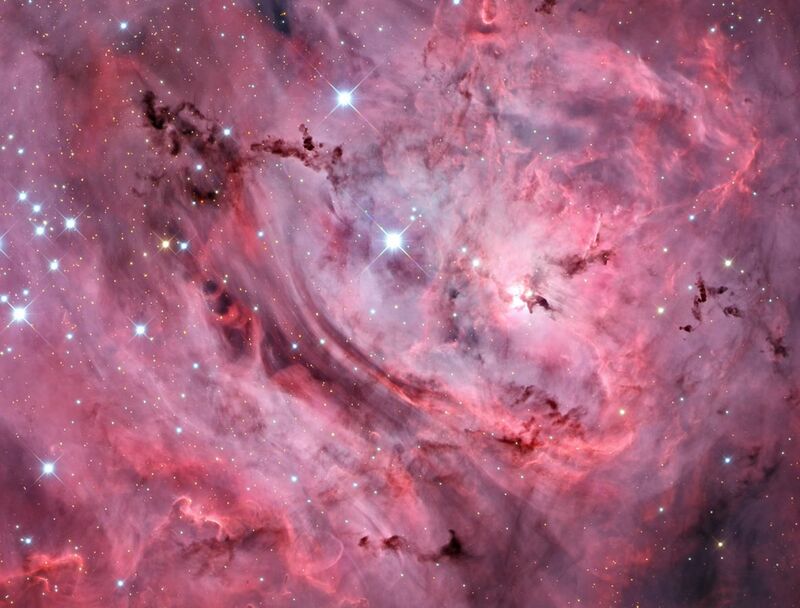 A star nursery where you can see many young stars being born. Look for the bright blue stars which are indicators of young stars that have just formed. 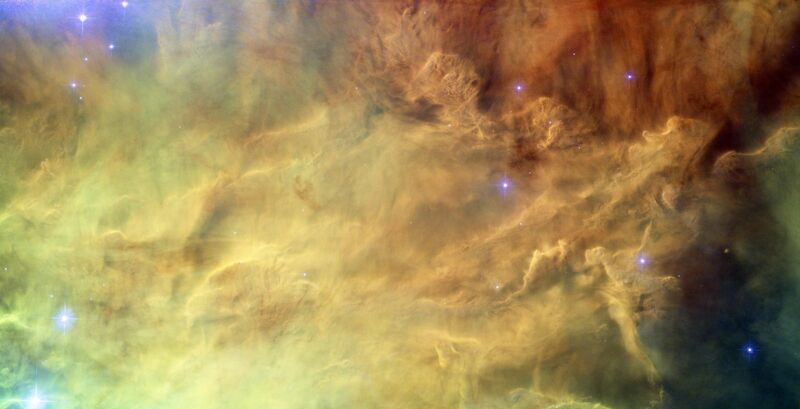 A gorgeous interstellar canvas that is about 3 light years across or 30 trillion km! 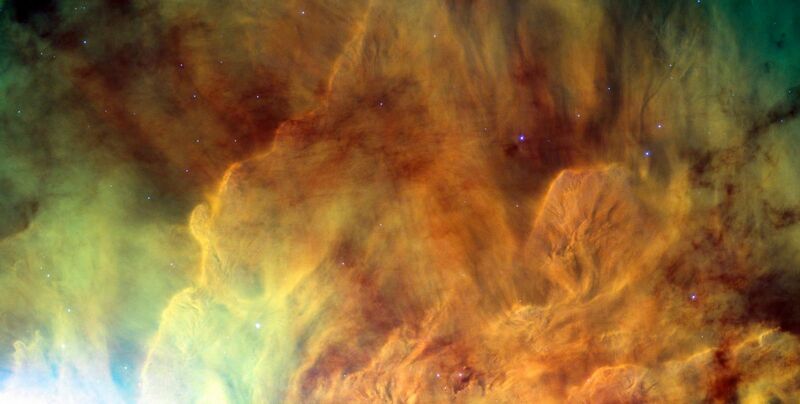 The colors you see here are of ionized gas such as hydrogen. 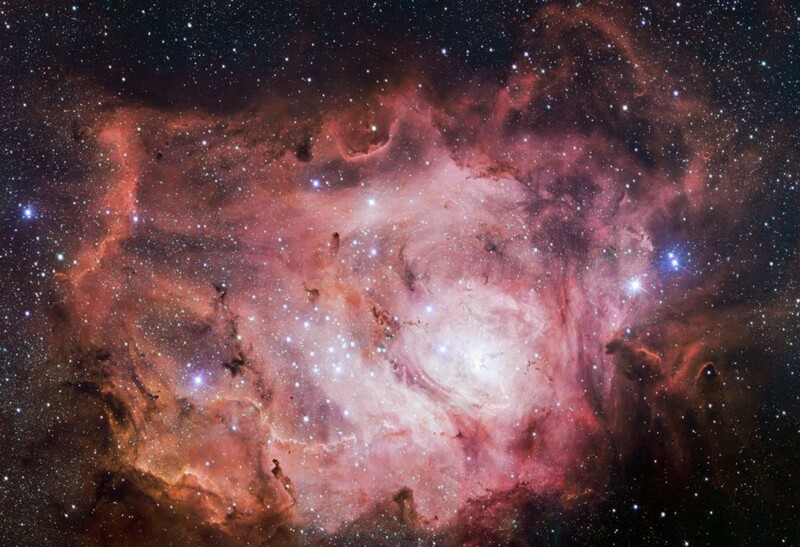 This new infrared view of the star formation region Messier 8 or the Lagoon Nebula, was captured by the VISTA telescope at ESO’s Paranal Observatory in Chile. 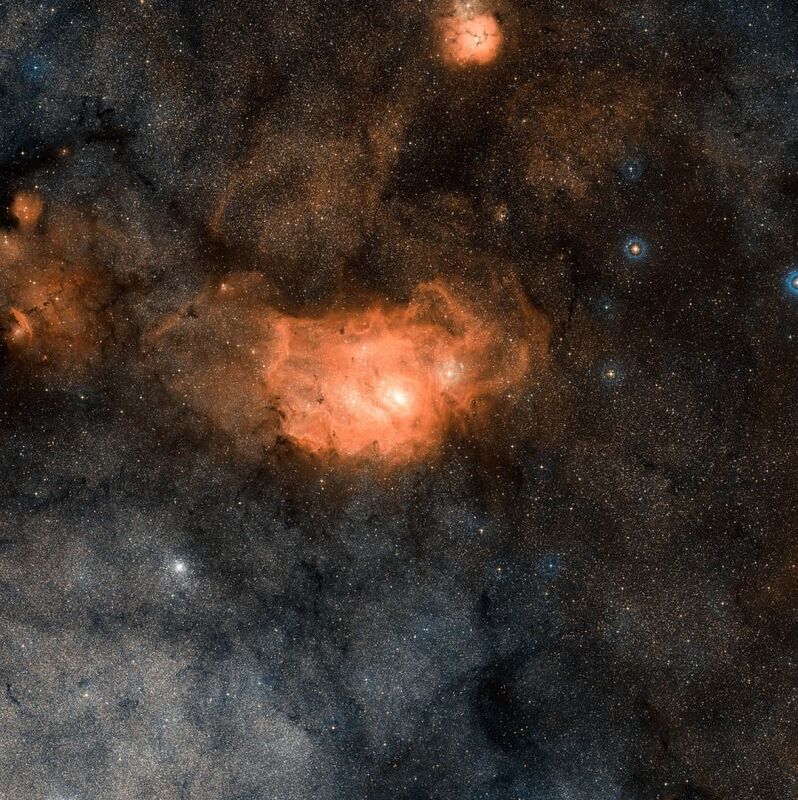 This colour picture was created from images taken through J, H and Ks near-infrared filters, and which were acquired as part of a huge survey of the central parts of the Milky Way. The field of view is about 34 by 15 arcminutes. 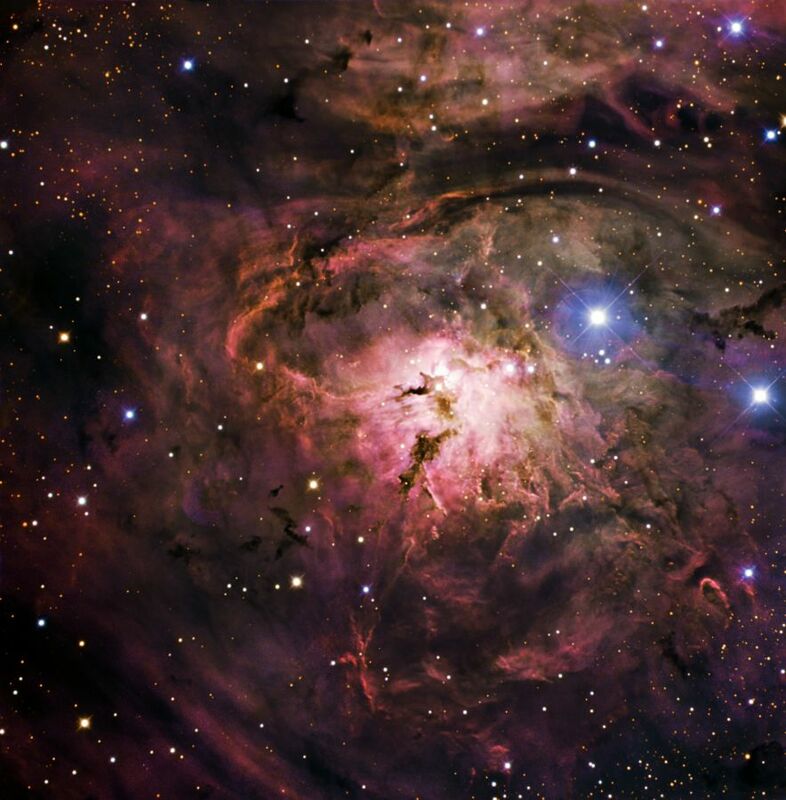 If there is a nebula you need to see in your lifetime it's the Lagoon Nebula. Absolutely stunning photos.